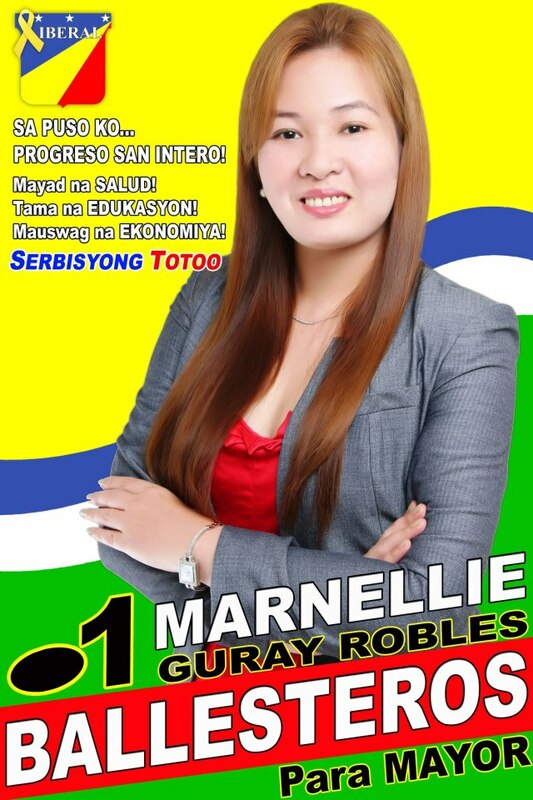 Bulan Observer congratulates the newly-elected mayor of Bulan Marnellie Ballesteros! With her, we hope for a brighter Bulan! I also send my warmest greetings to my former classmates Rommel Gonzales and Chito Hao. Keep up the good work- and our spirit! The Sangguniang Bayan has passed Appropriation Ordinance No. 02, series of 2009, authorizing the Annual Budget of the Local Government Unit for Fiscal Year 2010 in the total amount of 118,197,163.00 pesos covering the various expenditures for the municipal government. In her Budget Message, Mayor Helen De Castro emphasized the need to judiciously manage the finances of the Local Government Unit to properly address the growing needs of about a hundred thousand people in the municipality, through the various programs of her Administration especially in the areas of Health, Education, Livelihood, Environment and Nutrition/Social Services (HELEN Program). Of this amount, P98,197,163.00 shall come from the Local Government share from the Internal Revenue Allotment, while an estimated P20,000,000.00 shall be from the local taxes and revenues to be generated by the economic enterprises facilities like the Public Market, the Terminal, the Community Park, the Muncipal Fishport and various other revenue-generating activities. The bulk of the expenditures, amounting to P54,173,506.00 shall go to General Services accounts like personnel services. Social Services Sector gets a share of P15,989,236.41, with Health taking in P8,884,993.00.The Economic Services Sector expenditures are expected next year to be in the amount of P11,281,176.60. For Other Services, which includes Statutory Obligations, the 20% Community Development Fund comes in the amount of P19,639,432.60. Five percent or P5,909,858.15 is reserved for the Calamity Fund. P63,000 has been allotted as Aid to Barangays. A Lumpsum Appropriations of P2,500,000.00 as Terminal Leave Pay is also intended this year for out-going elective and other appointive officials. Debt-servicing stands at P8,640,000.00 to cover payments for loans made by the Local Government Unit, and these include the Bulan Integrated Terminal and the DOF Premiumed Loans for the public market. More municipal roads are due for repair and rehabilitation this year on account of the floods that caused much destruction this year, and the LGU is making sure that the pool of equipment is properly maintained to ensure consistent operation. Please take note that the Local Revenues/ Incomes (P20,000,000.00) are mostly estimates. This amount will be possible only if we can realize our collection targets, through our economic enterprises and revenue-generating activities like business licenses, local taxes, service facility charges, etc. The purpose why we released this news is because it is necessary that we in the LGU of Bulan be TRANSPARENT in our fiscal responsibilities and duties to the people of Bulan. A lie is the omission of truth and with such a national government that is founded upon lie, it is no wonder that there will be no shortage of it . A lie begets lie and so even Bolante’s lie has infected Bulan or the Bicol region as a whole. The fact is Congressman Solis accepted the P3 million- to my dismay. He is not one of those 22 who refused. Though I still do not buy Bolante’s revelation about these 22 who refused (a liar is still hard to believe even when he is probably telling the truth -Aesop-) Congressman Jose G. Solis’ case is clear. However, his assertion that he gave the P3million to the mayor of Bulan Helen De Castro could be another lie or maybe a truth. This time the burden of proof rests on Congressman Jose G. Solis. This would have been easy if Mayor Helen De Castro affirmed it right from the start- or if he had a solid proof to prove his case. But as we know, solid proof attesting to the Truth is not an SOP in Arroyo’s administration. However, now that the mayor “denied” it, it still doesn’t make her a liar. To deny is a normal reaction of somebody accused of something she thinks she did not commit. The mayor could also be omitting the truth, but in this situation, it is a very weak argument.Therefore, granting our mayor her right to presumption of innocence (and the law does not require her to prove her innocence or produce any evidence at all), we should rather focus on Congressman Solis’ corruptible character (for he accepted the P3 million) and pressure him to prove in one way or another his allegation to the public. And though we have never seen yet Bolante’s complete list, with Congressman’s Solis affirmation that he received the P3 million, he already proved to us that he is on the list. To assert something without a proof is something that is unethical, or even if you know that there is no such thing anymore as ethics in our political system, you should still avoid giving out such an allegation in a press conference. Congressman Jose G. Solis should put things in their proper places. We demand that he explains his case to the people of Bulan! But one thing is already clear to the public: If he couldn’t provide solid evidence to his allegation then his argument is not valid and that he is solely responsible for the missing P3million. Department of Agriculture Secretary Arthur Yap, Undersecretary Bernie Fondevilla and former undersecretary Jocelyn ‘Jocjoc’ Bolante take their oath during yesterday’s House hearing on the fertilizer fund scam. BOY SANTOS Former agriculture undersecretary Jocelyn “Jocjoc” Bolante said a total of 159 members of the House of Representatives and local officials received their share of the P728-million fertilizer fund. Bolante told the House agriculture committee chaired by Palawan Rep. Abraham Mitra that of the 181 fertilizer fund “proponents” he listed, only 22 did not avail themselves of the P3-million to P5-million allocations he gave them. Bolante said he could not identify the 22 who did not get their allocations and the 159 who received funds or fertilizer. He said the Commission on Audit (COA) should be able to identify the supposed recipients. Bolante listed 105 congressmen, 52 governors, one vice governor and 23 town mayors as fertilizer fund proponents. The list was part of his request for the release of P728 million in fertilizer funds. He sent the request to the Department of Budget and Management (DBM) on Feb. 2, 2004, three months before the May presidential election. The following day, Feb. 3, with uncharacteristic speed, the DBM released the funds Bolante requested. Budget Undersecretary Mario Relampagos signed the document releasing the money. Several House members admitted receiving fertilizer and not cash from either the DA or Bolante. Others denied getting money or fertilizer. “I told her I was not interested and that she could talk to my mayors and see if they were interested in liquid fertilizer,” he said. Defensor said he learned later that some of his mayors received liquid fertilizer. Camarines Sur Rep. Felix Alfelor had the same story. Alfelor said he told Bolante’s alleged agents to approach his mayors. Parañaque Rep. Eduardo Zialcita, for his part, admitted receiving a fertilizer fund allocation, which he claimed was used to buy garbage shredders. La Union Rep. Victor Ortega said he and his brother, Gov. Manuel Ortega, did not receive cash or fertilizer despite the fact that they were included in Bolante’s list of proponents. For her part, Rep. Mitos Magsaysay of Zambales told the hearing that her father-in-law, former governor Vicente Magsaysay, was not able to get his supposed P5-million allocation. However, House members who denied receiving cash or fertilizer in yesterday’s hearing did not ask Bolante why their names were in his list in the first place. Former Lanao del Norte Rep. Alipio Badelles wrote the committee that he was in Bolante’s list but did not get his allotment. Others who have denied receiving cash or fertilizer include Representatives Cynthia Villar of Las Piñas and Teodoro Locsin Jr. of Makati City, and former Quezon City representative Maite Defensor. Quezon City Rep. Nanette Daza admitted availing herself of her P3-million allocation, which she said was used to buy garbage shredders for the Payatas dumpsite. Speaker Prospero Nograles has admitted receiving fertilizer and not cash, and from the DA regional office in Davao, not from Bolante. Bolante reiterated his testimony in the Senate that President Arroyo had no knowledge of the release and use of the P728 million. He repeated his assertion that “there was no fertilizer scam” despite COA findings that there was “excessive overpricing” of the liquid fertilizer purchased by Bolante’s proponents. In some areas, the overprice exceeded 1,200 percent, according to the COA report. Auditors discovered that many of the lawmaker-proponents were involved in the use of their funds as evidenced by the memorandums of agreement between them and foundations they tasked to purchase liquid fertilizer. They said House members in Bolante’s list received a total of P404 million. In his testimony, Bolante also cleared Agriculture Secretary Arthur Yap of involvement in the scam. Yap was undersecretary for operations in 2004. Bolante said he never mentioned Yap’s name in the course of last Thursday’s Senate hearing on the fertilizer scam. He said it was then Blue Ribbon Committee chairman Sen. Alan Peter Cayetano who identified Yap as DA undersecretary for operations for Luzon in 2004. Bolante had told senators that he could not have known the anomalies in the use of fertilizer funds since he had resigned shortly after distributing the money. He said the undersecretary for operations was the DA official who should have monitored the use of the funds. Akbayan Rep. Risa Hontiveros-Baraquel told Bolante that he is insulting Filipinos by insisting that the President was not aware of the release of hundreds of millions in fertilizer funds and in asserting that there was no scam. “You are insulting the public with your ridiculous assertions,” she said. Bolante replied by saying that he respects Hontiveros’ opinion. “I will appreciate it if you can prove that what I’m saying is not true,” he said. For his part, Nueva Vizcaya Rep. Carlos Padilla said his province received its share of P5 million in fertilizer money in 2004. But what is mysterious is that no Nueva Vizcaya official is listed as a proponent in Bolante’s list, he said. Padilla reiterated his proposal for the Mitra committee to inquire into the total 2004 releases amounting to nearly P3 billion. Meanwhile, Owen Bolante urged the Court of Appeals (CA) to allow his father to be placed under house arrest instead of the Senate’s custody pending decision on the habeas corpus petition before the appellate court. AccordingtoNoel Malaya, Owen had also submitted a compliance certificate to the CA from his father’s doctor indicating his father was indeed confined at St. Luke’s Medical Center from Oct. 28 to Nov. 8. The certificate also stated that the elder Bolante underwent medical examinations. The results were also submitted to the CA, Malaya said. The younger Bolante filed a petition for habeas corpus on Nov. 5 questioning the custody of the Senate of his father. Two days later, the CA ordered Senate sergeant-at-arms Jose Balajadia to reply to Bolante’s petition. The CA also ordered Owen to secure a medical certificate from St. Luke’s to support allegations of ill health.